PARKING: There is ample parking for about 6 cars and street parking is not available. AMBIANCE/DÉCOR: Domino’s is cool for hanging out with friends/bae or a birthday get together (not dinner o! ); definitely nothing too serious. I like how the attendants scream “welcome to Domino’s” once a new customer steps in. FOOD & DRINKS: Domino’s offers a special called Order Your Pizza in Half & Half. 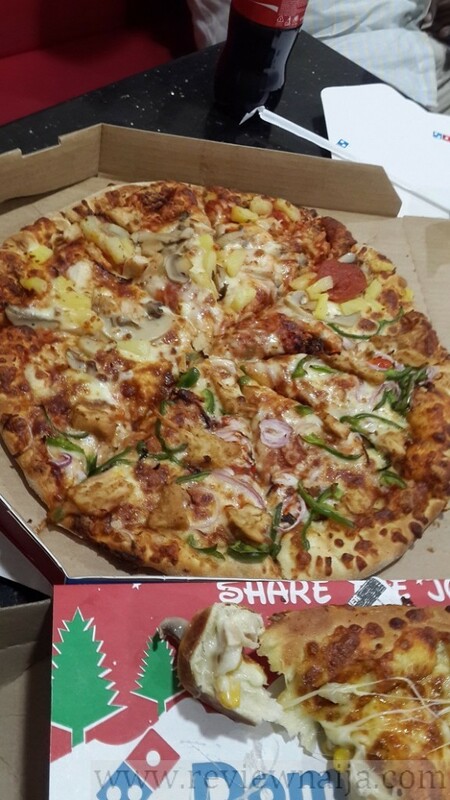 My sister wanted the chicken suya pizza while I wanted the hawaiian. 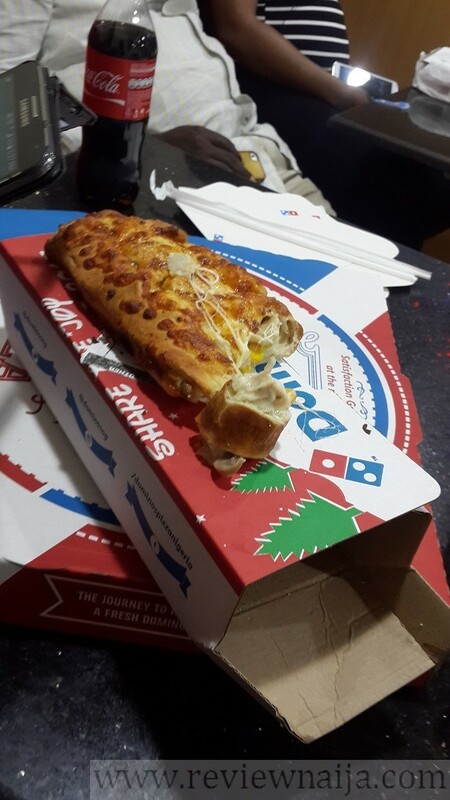 We ordered the large half & half which cost 3,400 NGN and also ordered chicken stuffed cheesy bread which cost 1,000 NGN. 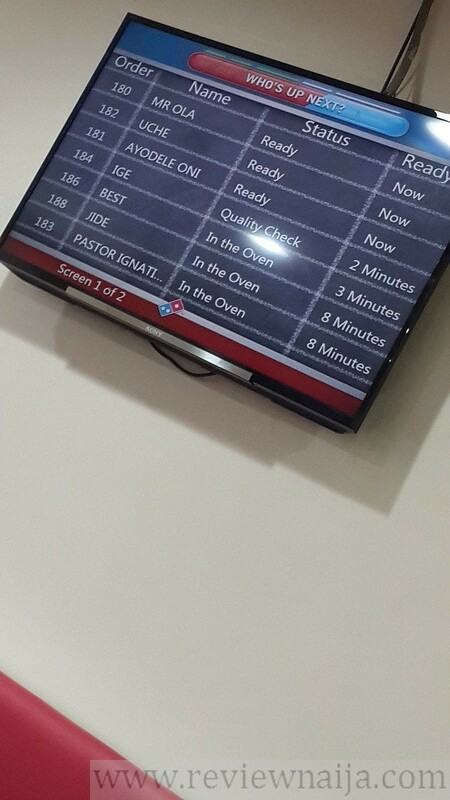 Large pizzas range from 2,500 – 3,600 NGN, while medium pizzas range from 1,800 -2,000 NGN. Sides range from 600 -1,300 NGN. 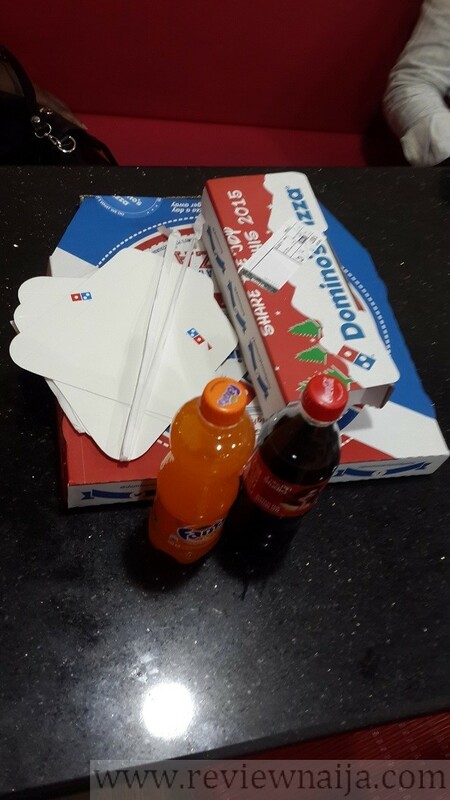 We also ordered a bottle of coke and fanta which cost 200 NGN each. SERVICE: I was impressed with the service. My attendant was very polite and answered all my questions. We were asked to wait for 15 minutes and our order was ready within the set time. There is a monitor which shows the progress of your order. We paid a total of 4,800 NGN via POS. THE PIZZA: It was deli-cious. I actually preferred my sister’s chicken suya pizza, but mine still tasted good. The pizza had thick crust (exactly how I love it) and the toppings were perfect; it was definitely worth our money. THE CHEESY BREAD: This was absolutely tasty. It was so hot and filled with delicious cheese. We were tempted to get more, but decided to exercise some self constraint..lol. 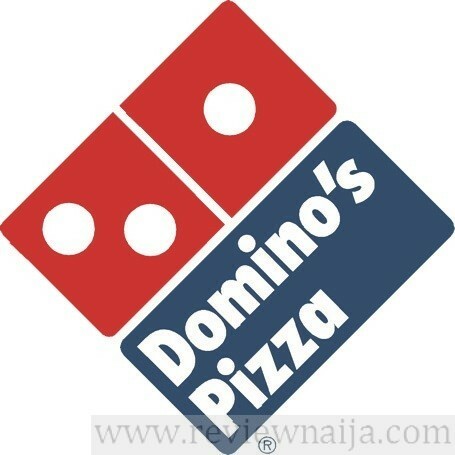 RATING: I rate Domino’s Lekki a 10/10! Service was spot on and the food was delicious. I particularly liked how we were welcomed in and I definitely plan on visiting again soon. lolol at you rating a place 10/10….